I recently got a cheap headset, for use while chatting with friends online. It has Bluetooth, so it is a bit more comfortable than handling wired headphones; or earphones in my case. So, I just hacked it, myself. 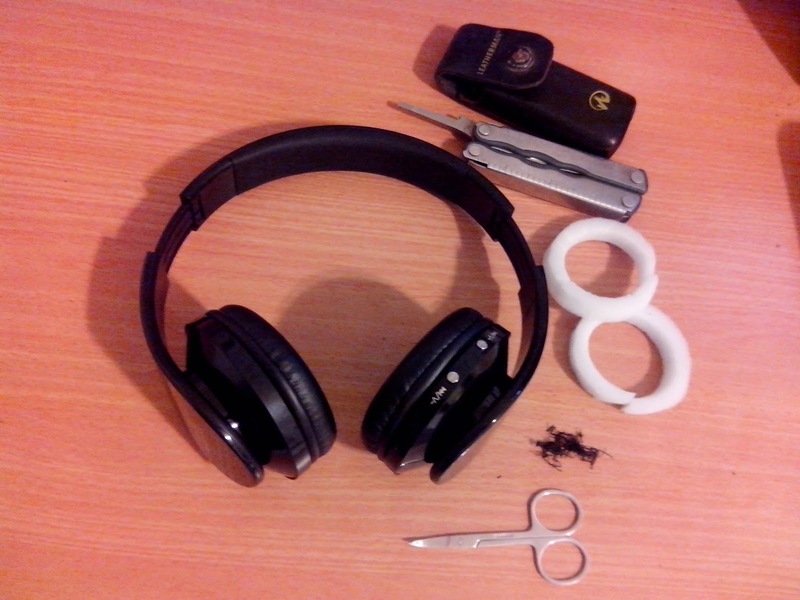 As you can see in the photo above, I simply removed the cushions, took the foam out, cut it - to allow more space for the ears, and returned it all back in place. Admittingly, the phones are still not very comfortable. This is only a small fix. A patch of sorts. However, until I get a better & more expensive headset, this definitely helps!